What a joy! One of my favorite things about being an EMDR trainer is meeting wonderful therapists in other communities. 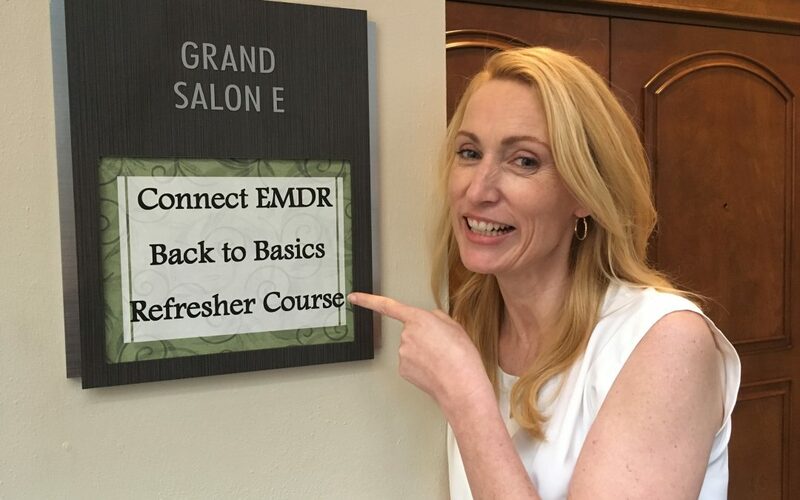 At last week’s Back to Basics EMDR Refresher Class in Ft. Lauderdale, Fl, I had the pleasure of working with more than twenty phenomenal EMDR therapists from South Florida…some trained by the great Dr. Francine Shapiro herself in the 1980’s and some had trained as recently as this year. That kind of diversity of experience is why I love teaching the EMDR Refresher; every class is different depending on the needs and skill levels of the participants. It keeps me on my toes and makes me even better at identifying common areas of confusion and “stuck points” for EMDR therapists – and their clients. Best of all, participants expressed how good it felt to network and build community. You are an overachiever and want confirmation that you are doing everything perfectly! You have clients with recent trauma or complex presentations and want to learn how to reduce symptoms quickly with EMD and restricted processing.